Being involved in the real estate industry in some format for over 12 years, and Property Management for 6 of those, my experience means I am geared to oversee the efficient and competent management of all of your Property Management needs. My strength is my team - they are talented individuals who all contribute to make for a dynamic, impressive group dedicated to your service. My strengths in Property Management include my practical knowledge of what is needed to keep my clients' investment properties up to scratch. The key for me is that my communication with Owners is both regular and informative. I have recently completed the Certificate in Residential Property Management Level 4. 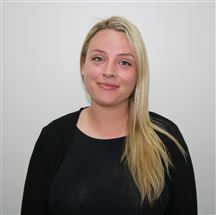 Her vast Sales Account experience gives Rachel the talent and knowledge to talk any Investors through what can be the daunting task of choosing the right Property Management company for their needs. Rachel is very thorough and makes it her business to be on top of all relevant statistics so her Clients can make an informed decision with confidence.